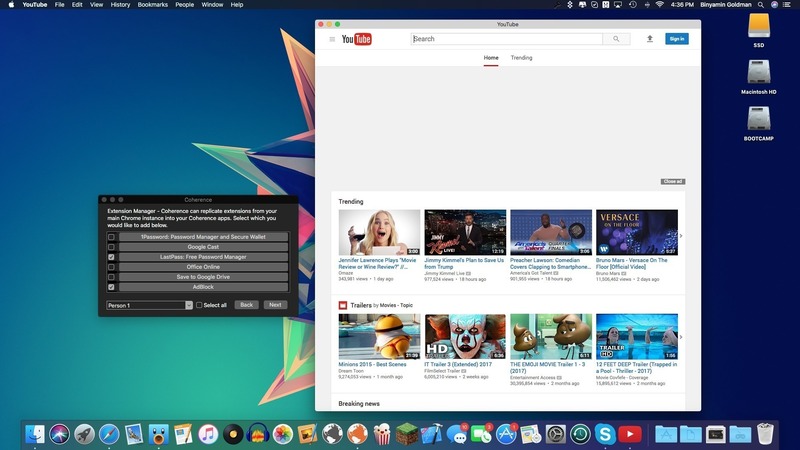 Coherence allows you to turn any website into a full-blown macOS application in seconds. Simply name your app, type in a URL, and grab a favicon. And, using the power of Google Chrome, Coherence allows each app to have separate settings and extensions.